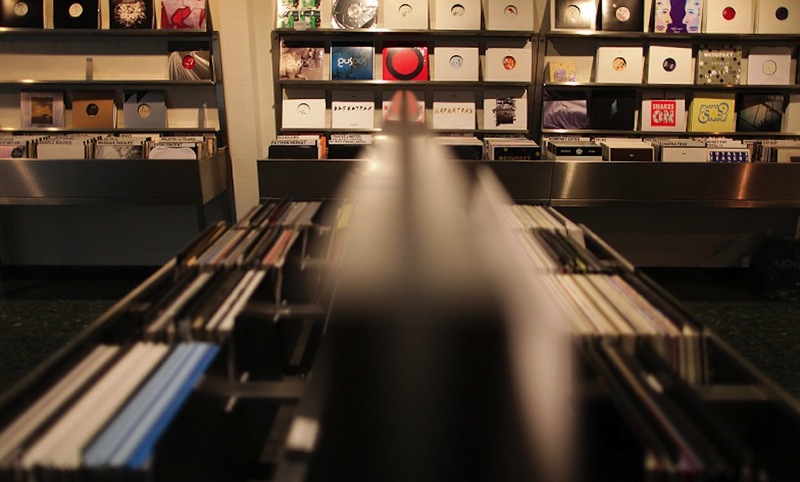 The 20th anniversary celebrations show no sign of relinquishing for Cologne’s pre-emminent electronic music label Kompakt as their famous record shop is upping sticks and going on tour in recognition of making it to the big two-oh. The temporary store has already graced Geneva and Art Cologne and there are plans afoot for stop offs in Paris and Amsterdam before the year’s over, but we’re pleased to announce that next up on their itinerary is EB home city Berlin. They’ll be setting up their pop-up store at Ableton’s Prenzlauer Berg HQ on Schönhauser Allee 6-7, and we’re thrilled to be supporting the project having already presented the 20 Years of Kompakt beach party in Barcelona earlier this year. Opening on Saturday, August 31st to coincide with Torstraße Festival and will be open daily between 2-8pm until September 7th all through Berlin Music Week. Fair warning Berlin-based Kompakt fans (and we know there’s a lot of you), start saving your money now. There will also be a 20 years of Kompakt party at Berghain and Panorama Bar on September 7th to bid the Berlin stopover farewell—keep your eyes on Twitter for details about a ticket giveaway soon. In the meantime, fancy winning 2o Jahre Kompakt Kollection 1 and 2 on vinyl? We’re giving three sets away. All you have to do is sign up to our mailing list with your email in the field below. Good luck!